Grant Bulloch has a contemporary and design led approach to architecture, with a particular interest in sustainable and environmental design. His portfolio of work includes residential projects, community facilities, church buildings, commercial and industrial buildings. Inspiration for design can come in many ways. The landscape, the culture, the urban context, the site itself or perhaps even the clients. An image gleaned from a magazine or website, a visit to a building – contemporary or historic – can all fill us with ideas for transforming the spaces around us. We look forward to sharing the things that inspire us both and bringing some of those ideas to reality. It is appreciated that many people have never been involved in a building project before and will need help and advice with the process ahead. Click the button below to read information that may assist. If not, just get in touch as most questions will be easily answered. What Local Authority Consents and Permissions might I need? 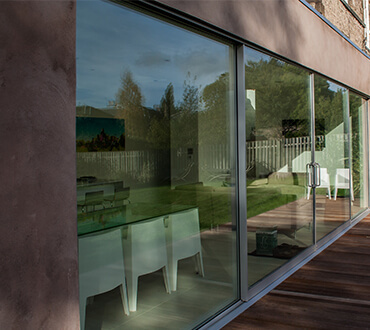 If you are altering the exterior of your property, you may not necessarily need Planning Permission depending on the size and the situation of the proposals. However if you live in a flatted property or your building is in a Conservation Area, even the smallest alteration to the exterior may need Planning Permission. Similarly if you are changing the use of a property, you will almost certainly require Planning Permission. Even if you do not need Planning Permission it is a good idea to apply for a Certificate of Lawful Development, which gives you some confirmation in writing and you can keep in case it is ever queried by a future buyer of the property. If your building is listed, most alterations or extensions will require Listed Buildings Consent. Very minor internal alterations which do not affect any features may not require it. However if you do require it, an application is normally made at the same time as a Planning Application. There are some other planning consents which could occasionally be required. These would be identified at an early stage of a project. You will normally be required to check with your own Solicitor or in your Title Deeds as to whether there are any burdens placed upon the property which may affect your project. You need to obtain a Building Warrant from the Local Authority before carrying out any significant construction. For this, you need technical drawings and specifications prepared in a form which satisfies the Local Authority. Once submitted, the application is assessed by the Local Authority and any questions or queries are directed at the person making the application. Once these questions are answered, the Building Warrant is approved and you can prepare to start building. 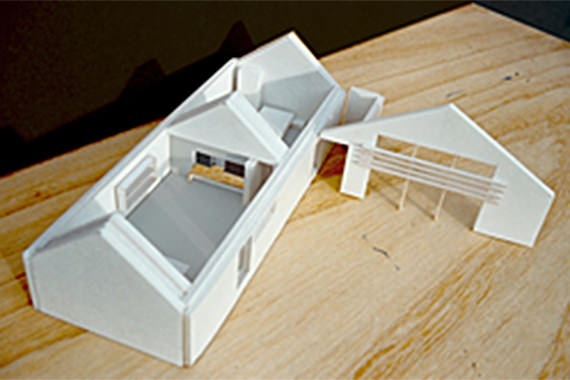 Grant Bulloch Architect can make applications for Planning consents and Building Warrants on your behalf. It cannot be guaranteed that any of the Planning consents will be approved but GBA has had an extremely high rate of success in the past. What other consultants might I need to appoint, other than an Architect? If any structural changes are being proposed or if the building is new, you will need to appoint a Structural Engineer. The Engineer is required to carry out calculations and details of the structural elements to satisfy the Local Authority at Building Warrant stage that the structure is stable and strong enough. A Quantity Surveyor is a cost consultant who can advise on construction costs much more accurately that your Architect usually can. As the drawings are progressing, the QS can then prepare "Bills of Quantity" - documents itemising every element of the proposed building. These allow Building Contractors to price the construction work more accurately and are then used as a basis for the cost of any changes which invariably take place during construction. You will also find it is easier to get Building Contractors to submit a price if you have Bills of Quantity prepared. A Quantity Surveyor will also deal with any financial claims made during the building work by Contractors. It is essential to employ a Quantity Surveyor on large projects, although with building costs rising it is becoming more common to employ a QS on house extensions and smaller projects. On bigger or more complicated projects, you may need to appoint a specialist engineer to specify and detail services such as heating or electrical installations. House alterations and extensions do not usually need this level of detail. It may be neccessary to employ someone to provide an electronic survey drawing of the site or existing building, before design can begin. Projects which are likely to involve more than 4 persons on site at any one time or last more than 30 days on site, 500 person hours or involve demolition, will require the appointment of a Principal Designer to oversee and advise you on the Health & Safety issues. This appointment is required under the Construction (Design and Management) Regulations 2007, which also places a number of other important obligations on clients to ensure that the Health & Safety issues are adequately resourced and addressed at an early stage. Grant Bulloch Architect Ltd. can advise you which of these appointments are likely to be necessary, and obtain fee proposals on your behalf. What services will an Architect provide? Services are split up into a number of Work Stages, which tie in to the various stages you will need to go through as the project progresses. GBA will advise you on statutory controls and procedures that might apply and which you are obliged to comply with, such as Planning Applications, Building Regulations, Health and Safety etc. GBA can deal with the various authorities on your behalf. With the approvals in place GBA can prepare more detailed drawings and technical specifications, and can recommend an appropriate form of building contract. Tenders can then be obtained from a number of builders, or a price negotiated on your behalf. GBA can monitor the builder's work against the contract agreement in terms of achieving the quality required, the progress of the work and costs. This is an abbreviated list of the normal services that can be provided. There are a number of other additional services possible, including specialist reports, surveys, planning advice, interior design and even model making. GBA can offer a very flexible service, from simply undertaking an initial feasibility study to preparing a full package which includes Planning, Building Warrant and detailed drawings, finding suitable builders and carrying out site inspections – all usually for a fixed price fee. What are the professional fees likely to cost? Fees can be calculated in a number of ways. Hourly or daily rates can be charged when the extent or complexity of the project is unknown or services cannot be related to the construction costs. Often a Feasibility Study is charged using an hourly rate. Fees will be based on the amount of work that GBA Ltd. will be required to carry out for you. This is only possible for a clearly defined scope of work and services which are fixed at the outset. Later variations to either will vary the agreed sum. Fees can be calculated on a percentage of the assessed or actual construction cost at each work stage. Rates will vary for different building types and if the construction is new or to an existing building. 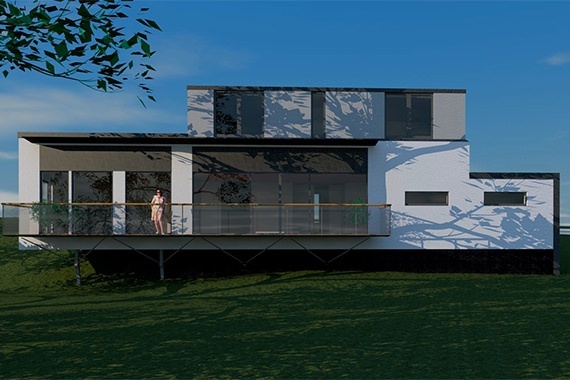 Grant Bulloch Architect will confirm in writing all proposed fees in advance and before any work is carried out. An approved standard contract document will be used so that both Architect and Client clearly understand how much will be charged and what services will be provided. Unless the project is very small, a lump sum fee is nearly always preferred. This gives clients the peace of mind that costs are unlikely to change. Contact Grant Bulloch for an initial consultation. This is free and will usually take place at your house or property. Think carefully about what you would like to achieve with your project. You do not need to try to design it yourself, but do consider what quality of design you would like and what sort of spaces you want to create. Look at the many magazines and newspaper articles which are published regularly and highlight examples of buildings which you like, or perhaps ones which you don't. This allows us to develop a conversation about the possible design of your project and also gives an indication of what services you will be likely to need. Think about the budget that you are likely to have available to spend and any other important factors which could affect the design, but please remember that exact timescales and building costs cannot be estimated at this initial meeting. The length of time it takes before you can start building will obviously depend on a huge number of factors. Events are often beyond the control of both Architect and Client, and so the timescale will evolve as the project progresses. This is the part of the project which is often rushed but is actually the most important. Changes made later on in the project will often be costly in terms of time and money. It is worth investing a number of weeks to ensure the design is right. When the drawings are ready and an application for Planning Permission is made, it can take the Local Authority anything between 2 to 3 months to make a decision. 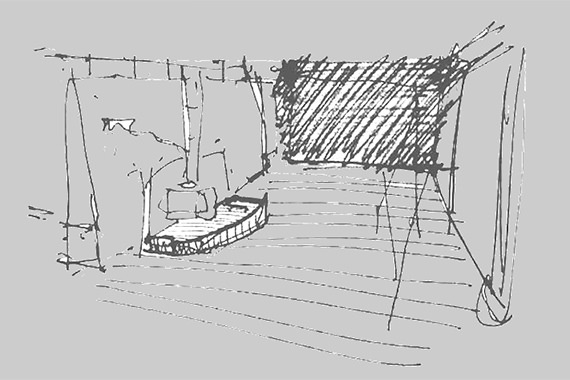 If the design is contentious or involves a Listed Building, it can take much longer. It can take 3 to 4 weeks to prepare these drawings, but if specialist input is required from other consultants, it can take longer. Once submitted, the Local Authority will usually take anything between one and two months to assess the application, however this varies considerably around the country. The City of Edinburgh Council is currently taking an extrememly long time to assess applications. 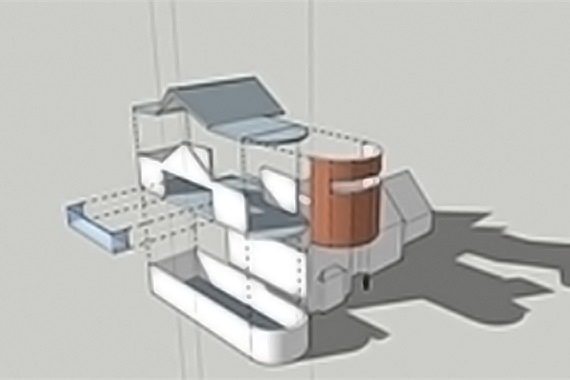 To prepare specification documents and drawings for pricing can take around a month. You should allow at least a month to obtain a price from a Contractor. This will vary depending on whether formal tender procedures are followed or a price is negotiated. This varies depending on the size and complexity of the project, whether the work is phased and the time of year it is carried out. 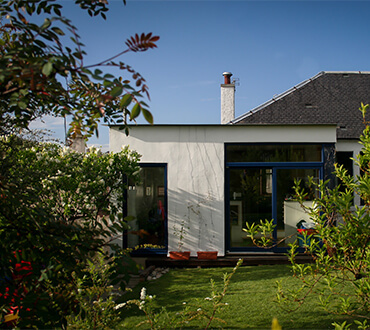 An average small house extension may take approximately 3 to 4 months from start to completion. You could assume that it will take around a year from the inital design to the completion of the building work. This estimate is based on a domestic house extension. For other project types and sizes please contact GBA for advice. How much will the building work cost? As you can imagine, this is a near impossible question to answer without knowing much more about the project. Costs can vary considerably, depending on the quality of the construction and the standard of finishes, the design and the type of the contractor chosen. As a general rule of thumb, you should allocate around £2000 to £2500/m² for a good quality single storey house extension. On top of this you should include the cost of any kitchen and bathroom fitting out, plus of course VAT. To obtain more detailed budget costs at this early stage, it would be sensible to employ a Quantity Surveyor. Formed in 2000, Grant Bulloch’s practice now has a growing reputation for a contemporary and design led approach to architecture. After studying at the Univeristy of Edinburgh, Grant gained experience working in London and around Edinburgh before setting up his own practice. Since 2000 he has shown to have a proven track record in delivering projects on site, on budget and on time, regardless of the size. Outside the office, Grant is a trustee of the Kisoro Trust, a registered charity which supports a primary school for deaf children in Uganda and is also a director of The Ripple Project, a charity organisation supporting people of all ages in his local community. 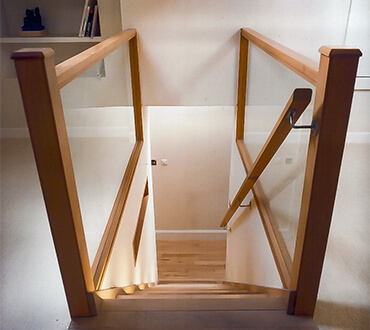 Grant Bulloch is chartered with the Royal Institute of British Architects and was elected a Fellow of the Royal Incorporation of Architects in Scotland. The practice is also a member of ECAN (Edinburgh Chartered Architects Network) and trades as Grant Bulloch Architect Ltd.
Grant Bulloch Architect Ltd holds Professional Indemnity Insurance as required by the regulatory bodies. Many people make initial contact by just firing off an anonymous email. We would prefer you to pick up the phone and talk. That way it is easier to find out more about your ideas and you can ask as many questions as you want. If the office is unmanned there will be a mobile number for you to try. Please get in touch.